On 28 June 1965, Queen Juliana and Prince Bernhard announced the engagement of Princess Beatrix and the German diplomat Claus von Amsberg (1926-2002) in radio and television broadcasts. Before the wedding could take place parliament had to be asked for permission. In autumn 1965, the two houses of parliament passed a bill consenting to the marriage. Claus von Amsberg immediately became a Dutch citizen. Princess Beatrix married Claus von Amsberg on 10 March 1966. The ceremony was conducted by the Mayor of Amsterdam, Gijsbert van Hall. After the civil ceremony in Amsterdam City Hall, the marriage was blessed in the Westerkerk by Rev. Hendrik Jan Kater, with a sermon by Rev. Johannes Hendrik Sillevis Smitt. On the same day, Claus von Amsberg received the title of Prince of the Netherlands and the designation Jonkheer van Amsberg. 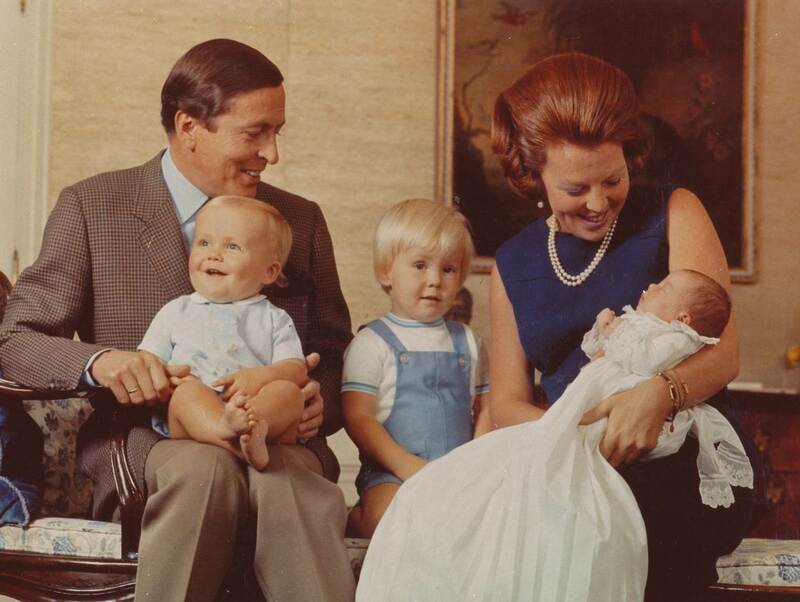 Prince Claus and Princess Beatrix with their sons Prince Friso, Prince Willem-Alexander and Prince Constantijn, 1969. Ariane (born on 10 April 2007), daughter of King Willem-Alexander and Queen Máxima.